Buying a boat is wonderful way to explore the beauty of the world. As most of the Earth is covered by water, owning a boat enables you to discover more of the amazing world in which you live. Additionally, nautical sports such as yacht racing and kayaking can keep you healthy and fit. Below are a few tips on the things you should consider when buying your first boat. Owning a boat can have an immense, positive impact on your life. So it is important to ensure that you make an informed decision when buying your first boat. One of the initial steps in your buying process is to learn about the different types of boats available. From a pontoon boat for cruising to a kayak for nautical sports; boats are available in a dazzling array of shapes, sizes and functionalities. Once you have grasped a clear idea on the options out there, take a minute to ask yourself what kind of boat would suit you the best. For instance, some boats used for water sports are designed with advanced technology and are suitable only for athletes that are knowledgeable and experienced about how to use them. Alternatively, if you are looking for a boat that will enable you to entertain your guests in style, a cruising boat would be the best option. Therefore, the right type of boat depends entirely on what you are looking for. There are a range of online and offline resources that will help you understand the various boat options as well as help you choose an ideal boat for your needs. Some websites will help amateurs build their knowledge on different boat types and features. Keep in mind that the features, size, quality and materials that comprise the boat will define the experience that the boat will offer its user. 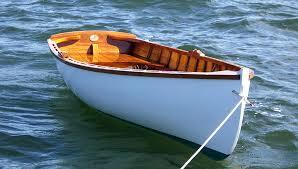 For instance, if a small boat is made out of a material such as Kevlar, it will be both incredibly strong and light. This will make the boat both secure and easy to store. Alternatively, a cruising boat with tiny cramped rooms will make it difficult to entertain guests in comfort. Additionally, it is necessary to insure your boat as quickly as possible and you will need to find out whether there are any benefits such as tax deductions that you are eligible for. If you are using the boat as a second home, you could be eligible for such a deduction. For a first-time boat buyer, knowing what to look for can only come through learning about boats and experiencing them. So if you do not have a lot of experience with boats and are contemplating buying your first one, it is strongly recommended that you invest in learning about them before you make a purchase. While a brand new boat would be the first choice of most boat buyers, it makes both economical and practical sense to consider second-hand boat options when you are buying for the first time. While the best advantage of a new boat is in the likelihood of its high performance and lack of operational flaws, investing a substantial sum on your first boat can be daunting. If you choose to buy a new boat, you can rest assured that with the right preparation made by the dealer, you can enjoy superb functionality and performance. In the event you choose to buy a new boat, it is recommended that you choose a dealer that will support you throughout your ownership and not simply during the buying process. A second-hand boat is a viable option for someone who does not have a great deal of experience with boats as it will give its user an economical way of experiencing boating. Furthermore, high quality second-hand boats are available and can offer an excellent experience to a discerning buyer. In order to get a clear idea about the boat and seller, it is imperative not to rely only on the advertising of the seller. While there are plenty of genuine sellers out there, there is always the possibility that you could be faced with an unscrupulous person. Misleading advertising could give you an inaccurate picture of the features and quality of the boat. Once you have determined the type of boat you want and narrowed it down to a couple of options, get an expert opinion before you confirm your purchase. Do keep in mind that this is doubly important when you are buying a second-hand boat. For instance, the flotation in a kayak is an important safety feature that will prevent the people in the boat from drowning if it capsizes. Buying a kayak with its flotation missing or damaged will compromise your safety. Additionally, if you are buying a second-hand boat, you will need to know whether the asking price is in line with the current market price. A seller that is interested primarily in making a quick sale may not give you all the facts that you need to make an informed decision. So it is strongly recommended that you get the advice of an expert before making a decision. In the event that you choose to get a second opinion, it necessary to keep in mind that you should select someone who is familiar with boats and will offer an unbiased opinion. Previous StoryIs it possible to bet on sailing?